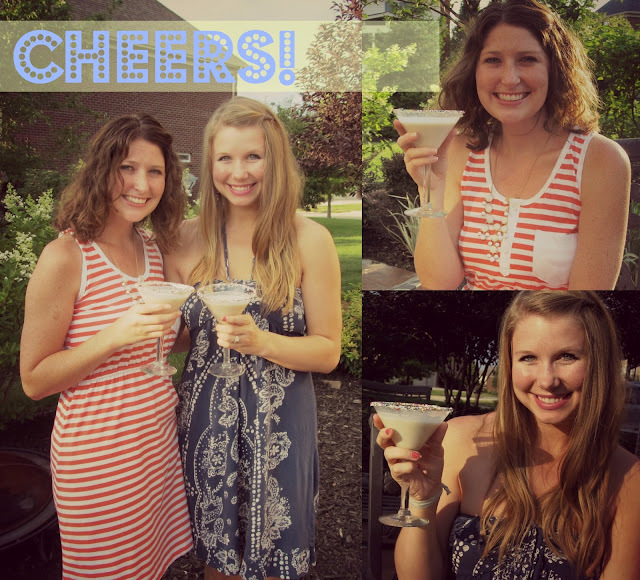 My friend Courtney and I got together one summer evening and whipped up this amazing concoction. 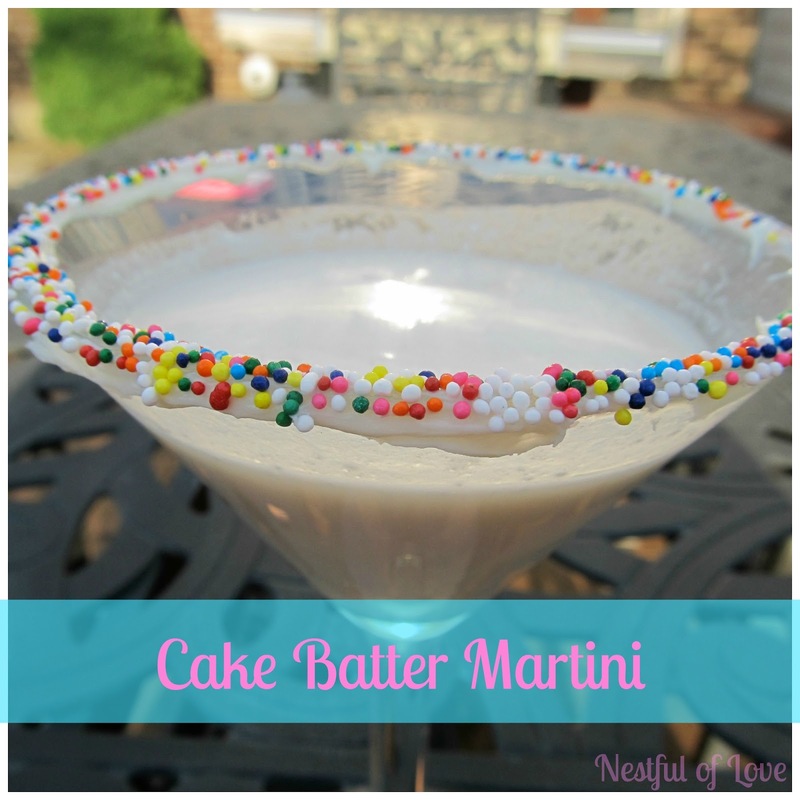 This is my favorite martini to date and I highly recommend you try it ASAP. Use your finger and scoop out vanilla frosting to rim your glass. Pour sprinkles out on a plate and carefully place rim in sprinkles. Combine all drink ingredients in a cocktail shaker, add ice and shake for about 30 seconds. Pour into glass and slurp up the goodness! Then come back and thank me. Ummm, I am going to have to make these the next time I have the girls over. YUM! Heck, my bday is coming up in 3 weeks, maybe I want some for my bday! ;) They are so pretty, too! I love dessert martinis... and this one looks like absolute heaven! *Mouth watering* =D Want. Some. OMG I NEED one of these! Thank you! Exploring London Town with Tara! Exploring the Kitchen with Rach! Exploring Fruit Farms with Emily!